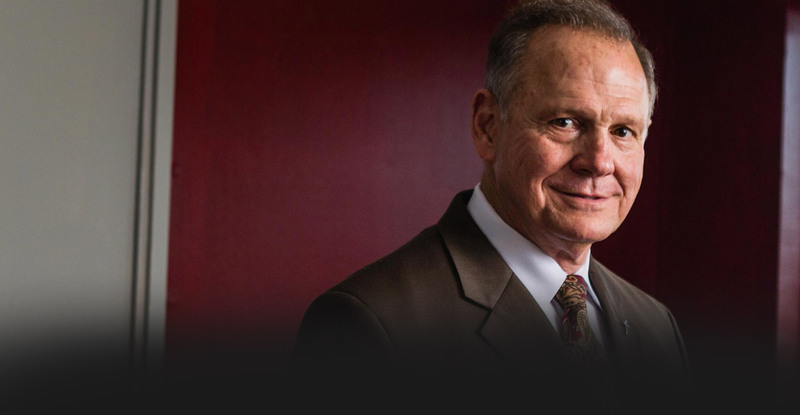 Please submit your information to sign your message to Judge Moore below. Don't surrender to the D.C. Swamp's attacks! PAID FOR BY AMERICA'S LIBERTY PAC AND NOT AUTHORIZED BY ANY CANDIDATE OR CANDIDATE'S COMMITTEE. CONTRIBUTIONS TO AMERICA’S LIBERTY PAC ARE NOT TAX-DEDUCTIBLE. FEDERAL LAW REQUIRES US TO USE OUR BEST EFFORTS TO COLLECT AND REPORT THE NAME, MAILING ADDRESS, OCCUPATION AND NAME OF EMPLOYER OF INDIVIDUALS WHOSE CONTRIBUTIONS EXCEED $200 IN A CALENDAR YEAR.